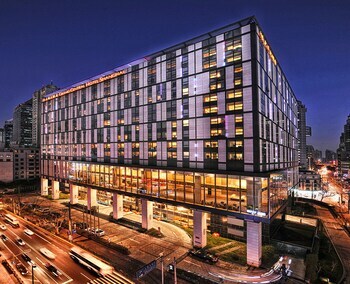 A stay at Grand Central Hotel Shanghai places you in the heart of Shanghai, within a 15-minute walk of The Bund and Old Chinese City. Featured amenities include a business center, express check-in, and express check-out. Self parking (subject to charges) is available onsite. Located in Fangshan, Super 8 Hotel Beijing Fangshan Liangxiang Yi Dian is convenient to Fangshan Bixi Fishing Park and Fangshan Haotian Tower.